In a fresh twist to the reason behind the defeat of the Sikhs in the Anglo-Sikh wars after the death of Maharaja Ranjit Singh, the former Punjab Chief Minister, Capt Amarinder Singh, in his book “The Last Sunset” claims that the Maharaja’s wife Rani Jindan was behind the defeat of the Sikhs. In a freewheeling interaction before the release of his book on the rise and fall of the Lahore Durbar here, Capt Amarinder Singh claimed that Rani Jindan contrived to make the Sikh army fight the British on unequal terms. He said the reason behind this was the increased importance taken on by the army after the death of Ranjit Singh. “The army, which had become republican in nature, had started dictating terms to the Durbar and this was not to Jindan’s liking,” he said. Amarinder, in a conversation at Barnala legislator Kewal Singh Dhillon’s residence, claimed that Jindan felt she would come out on top irrespective of who was the victor. He said keeping this in mind, Jindan made two persons from central India - Tej Singh and Lal Singh - who were not sikhs, incharge of the campaign. “Ironically all along the British knew about the exact positions of the Sikh army,” he added. Analyzing the defeat of the Sikhs in the Anglo-Sikh wars, Amarinder said the Sikh army, which did not have strategic planners on its side, was engaged against British officers who had fought at Wellington against Napolean. He said, moreover, the Sikhs did not have any attacking strategy. “They knew how to defend and funnily always chose to have a river behind them which proved disastrous once they were encircled,” he added. 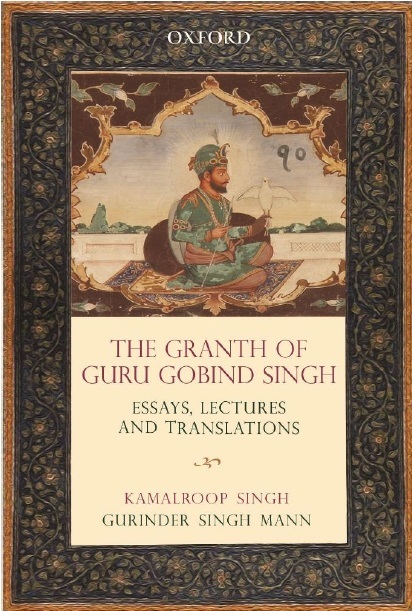 Amarinder has also touched upon Ranjit Singh’s nature in his book and while talking about it, said the Maharaja could be very possessive and vindictive in personal life but large-hearted as far as running his administration was concerned. 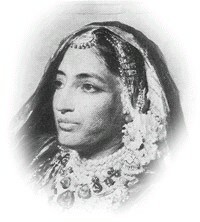 He claimed the Maharaja murdered his mother, Mai Raj Kaur on grounds of infidelity. He hinted this was one reason why the Phulkian States did not get along with Ranjit (Raj Kaur was from the Jind royal family). The writer while talking about his family’s experience with Ranjit Singh said the Maharaja came once to Patiala to ostensibly intercede in a quarrel between Patiala Maharaja Sahib Singh and his wife but really to access the “military might” of Patiala. He said the second time around Ranjit visited Patiala when the latter took over some villages from Nabha. “He (Ranjit) was all for taking us over and because of this the treaty of Samana whereby the cis Sutlej States accepted protectorate status from the British came about,” he added. How on earth these people are allowed to turn and twist the historical facts. i can't understand how these people qualify themselves for athaurity over what is or is not Sikh. Arminder had his chance to prove himself what did he do. Is he a Sikh? or Is Badal a Sikh. He is talking about past he knew nothing about, we can all see what he has done or he is doing. sikh lost battle bacause capt amrinder' was doing act of traitor as english army was stationed with them for long. they also helped british in war.It was this treason his khandan comiited whole period startig as agent of abdali to now congress'agents. sikh lost battle bacause capt amrinder'khandan was doing acting as traitor as english army was stationed with them for long. they also helped british in war.It was this treason his khandan comitted whole period startig as agent of abdali to now congress'agents. Amarinder Singh has given the true historical facts in his book. We all have been fed with the twisted stories by Gurdwara historians, who lionized Rani Jindan. In fact she was a corrupt, mean, opportunistic women, who in league with Dogras and support of her brother and her paramour, brought forward from Jammu, son of a water carrier, as the son of Maharaja. In stead of fighting the British controlled army, she begged favours from it from time to time and even sent petition to the Queen. Ranjit Singh killed his mother for infidelity, and his father, Ranjit's mother for the same reason. This was known to every one. Jindan, who underwent repeated abortions, was fearful that she may not meet the same fate by her son, so she got rid of him. There may be intrigues, but seeds of defeat always lie within. Others can merely exploit it. Why all sons of Ranjit were nalayak? Zero. No abilities? Did Dogras or Angrez make them so? Why Ranjit, a big alcoholic, druggie and womanizer did not bother to establish a series of succession of capable people? This is the reason; there was no leadership. Khalsa Army defensive tactics were also due to lack of leaders with the mind to plan offensive movements. There are numerous reasons for defeat of Sikhs. Most importantly, the Angrez who traveled 12000 kms, lived in heat and dust.. just a handful, had full confidence over his superiority and discipline.